Received through the Hot and Crusty workers’ solidarity listserv. SOLIDARITY WITH HOT & CRUSTY WORKERS! When: Thursday, October 18, 4:00-6:00 p.m. Immigrant workers at the Hot and Crusty restaurant have made headlines and inspired many by standing up to starvation wages. Organizing their own union, the Hot and Crusty Workers Association, they won union representation elections in May. But rather than negotiate seriously, the owners shut the store on August 31st. After 46 days on the picket line, the workers are now being pressured to return to work without the real union protections they have been fighting for. 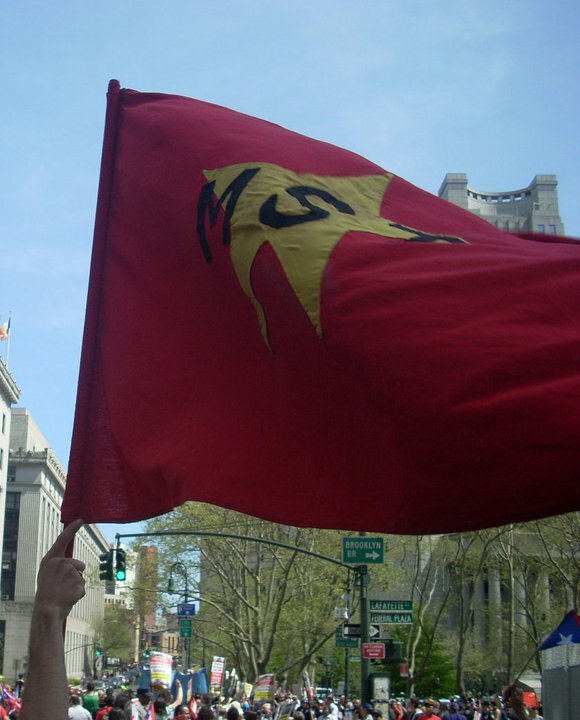 Determined to win a solid union victory for all, facing powerful interests invested in super-exploiting immigrant labor throughout NYC, the Hot and Crusty workers need real solidarity now more than ever. Enough of the attacks on workers and their rights. Let’s win this one!